The purpose of these pages is twofold: to bring to the attention of people in the Minehead area the facilities offered by Townsend House, and to tell the history of a house which stands in the middle of our town and of which many people are almost completely unaware! We hope you find it interesting and look forward to seeing you at Townsend House soon. The House is open every Monday 10am to 12 noon to collect keys, make bookings, browse the book sale or to have a chat with the steward on duty. 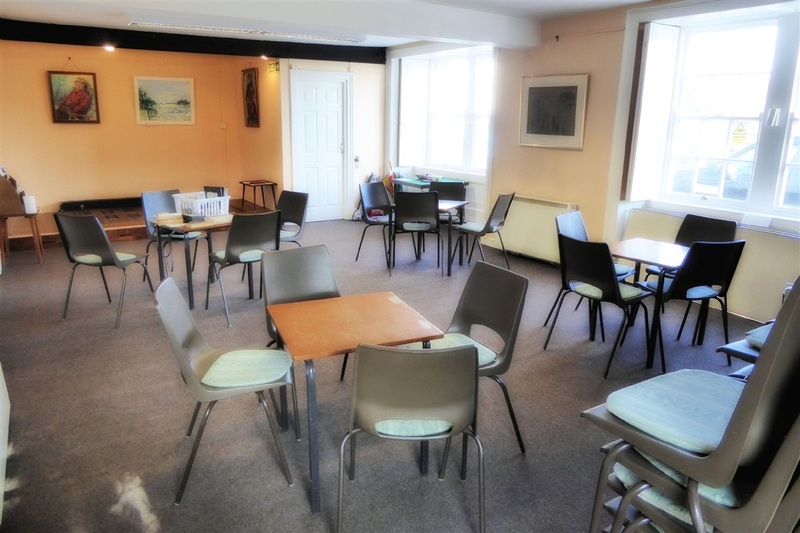 Townsend House is a restored 16th C house in the centre of Minehead and is an excellent venue for small group meetings, social activities and exhibitions. Downstairs: Disabled access to The Harbour Room (right, below) which can take up to 15, the Main Room (right, above) up to 40. Upstairs: Room 2, which is a quiet room upstairs with lovely views of Minehead can take up to 15. There is also a library with a large number of books for sale at reasonable prices. All the rooms can be hired at modest rates for morning, afternoon or evening sessions. 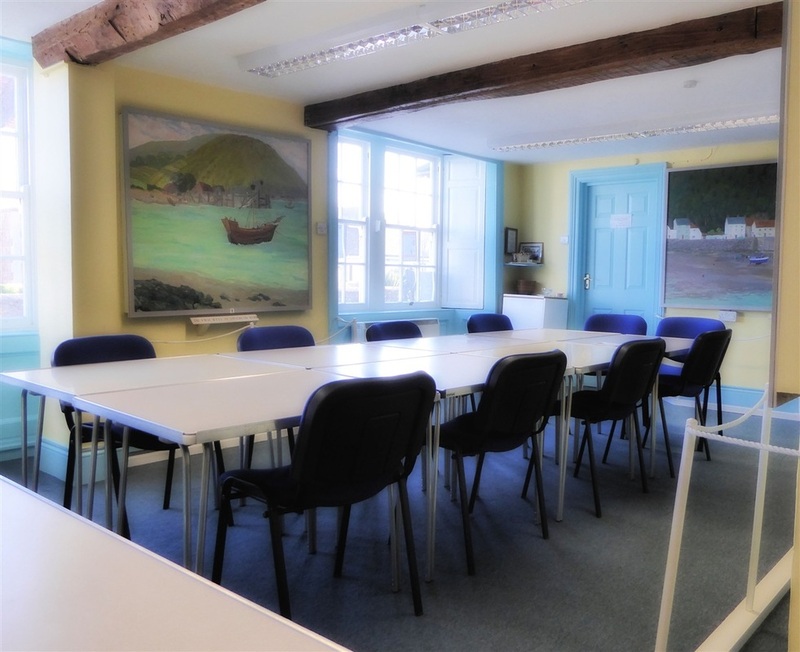 With effect from 1st January 2019, the Main room will be available for £20, the Harbour Room £18, the upstairs room 2, £14 and the quiet peaceful Library Room for 1:1 meetings (not Monday mornings) £10. The hire fee includes heating and lighting, use of the kitchen and free wifi.